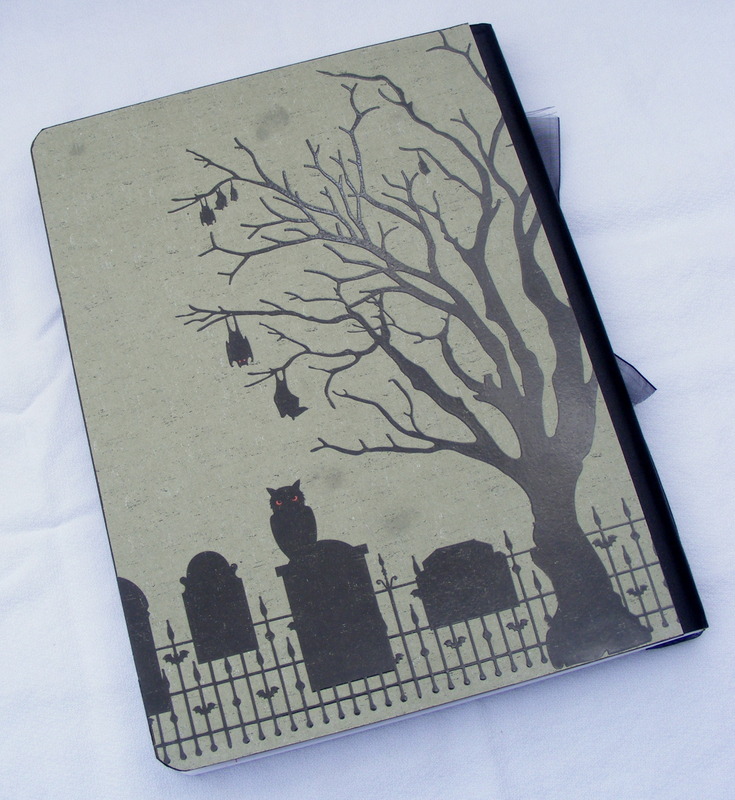 I had to share this creepy journal that I made using a half composition notebook. I loved this victorian funeral themed paper. It is from the Midnight Dreary line from Got Moxie. I’ve discussed how to make these so often that I am not going to repeat myself. 🙂 You can always visit my previous post for detailed directions. And, if you want one for yourself but don’t want to make it yourself, you can alwasy visit my Etsy shop and purchase this one. I have been in the Halloween mood. I know, I know. It is still August. I just can’t help it. I love autumn and all that comes with it… specially Halloween. I went shopping a couple of weeks ago and found all kinds of new cardstocks from DCWV and the Martha Stewart lines. I’ve made several cards, journals and notebooks and listed them in my Etsy store. This one was super quick to make. 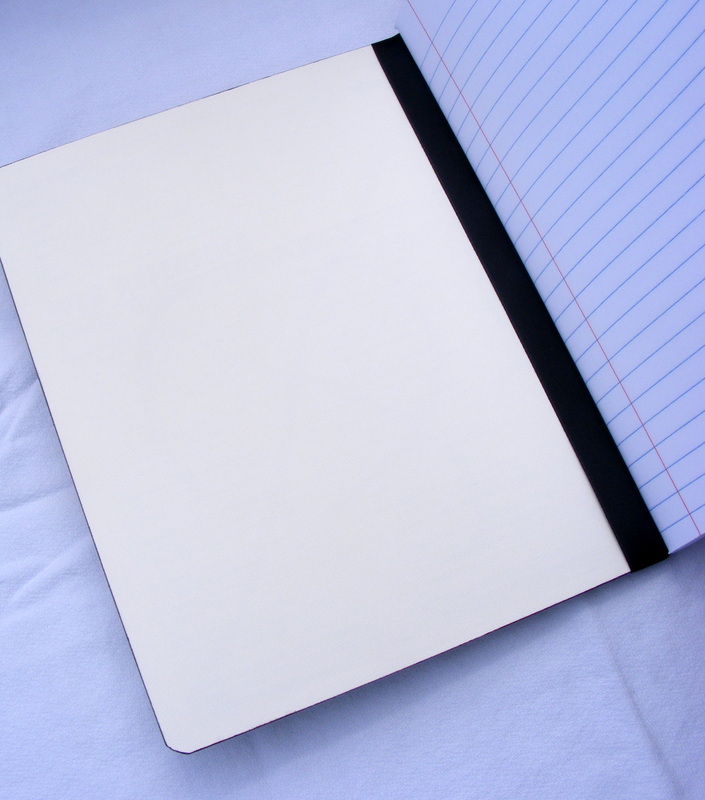 It is a blank gray, fabric covered journal that has silver accents in the fabric. 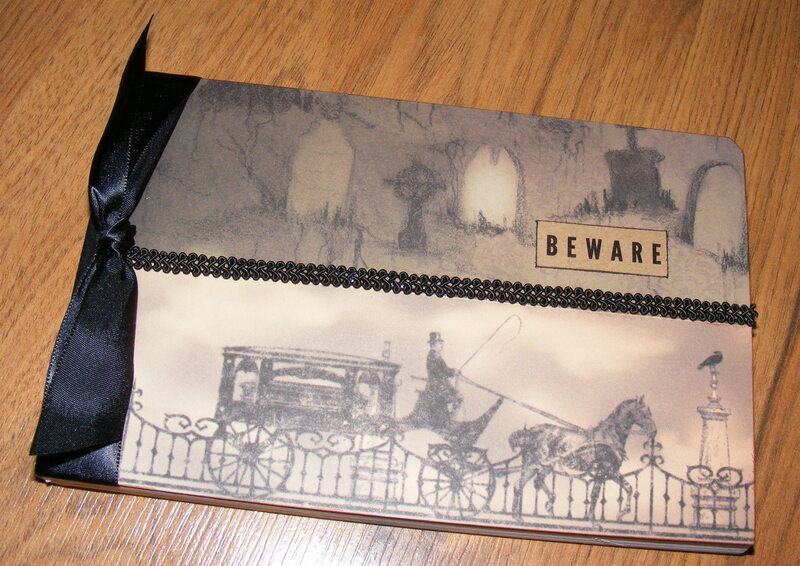 I embellished it by adding the vampire, gate, moon and tombstone diecuts from Martha Stewart. They were self-adhesive so it made it even easier. I thought it turned out great? What do you think? 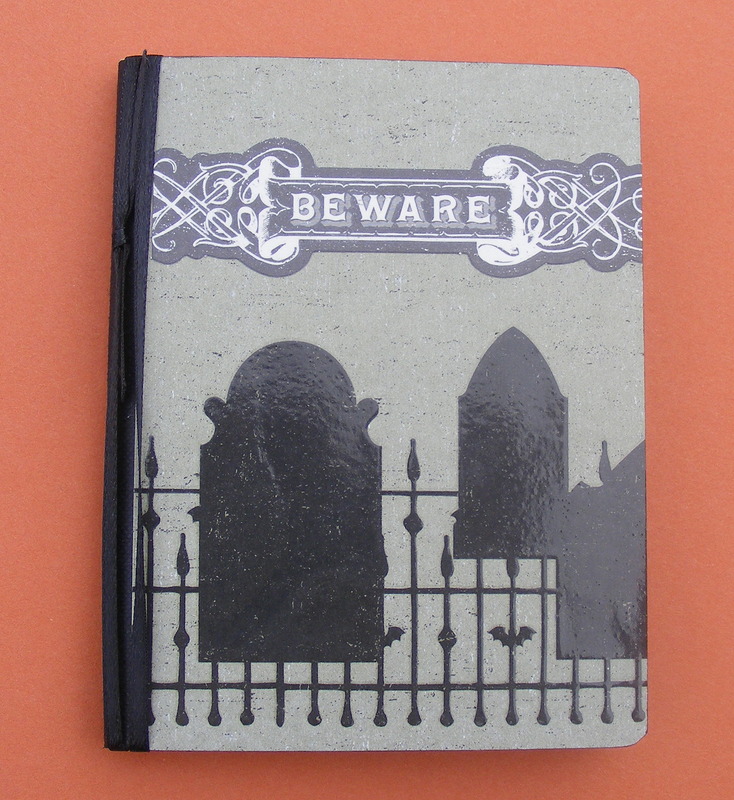 I found some awesome Halloween scrapbook paper and just had to make a few new journals. 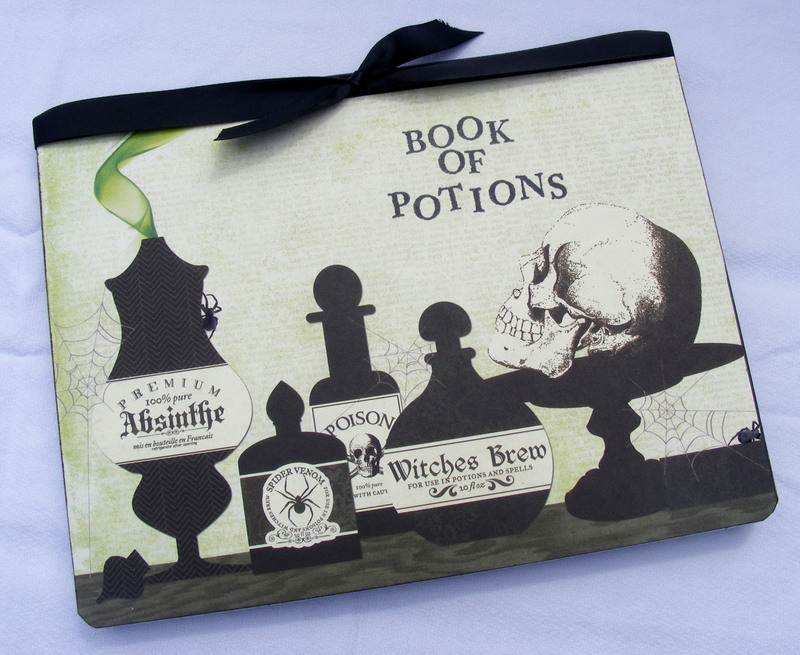 For this “Book of Potions” journal I used a full size composition notebook and covered it with the spooky cardstock and embellished it with ribbon and clear glazed the spiders. I lined the inside covers with coordinating cardstock. 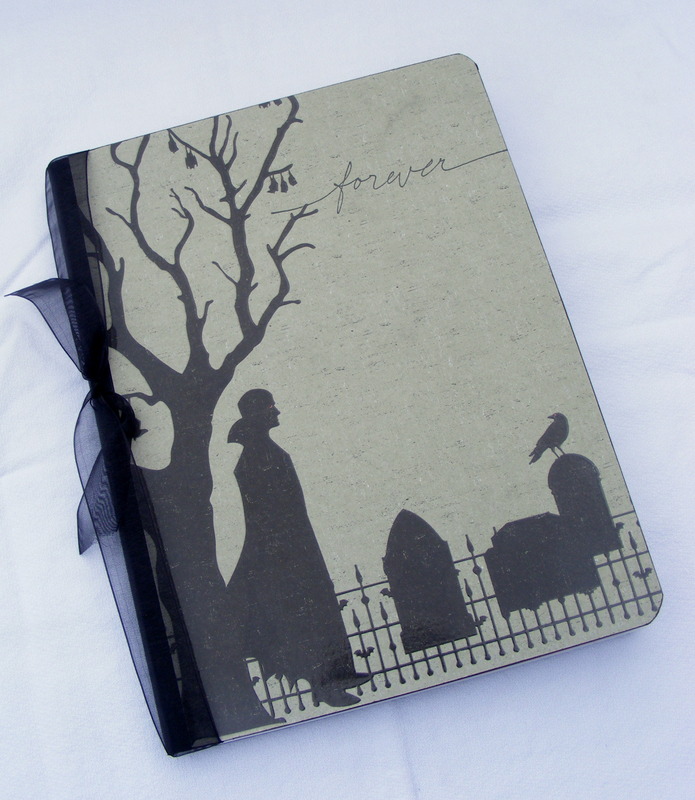 So it is ready to go to be used for anything… a journal, a place to keep personal or school notes, a “recipe” book or just a Halloween decoration. You decide! 🙂 Book of Potions on Etsy. I’ve been creating all kinds of Halloween goodies and listing them on my Etsy website. 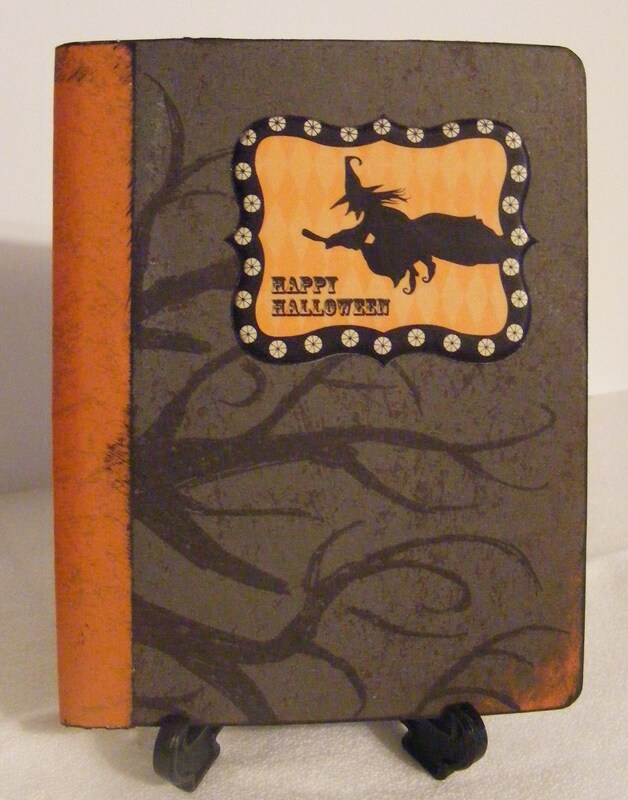 This is a mini composition notebook covered with Halloween cardstock, papers and die cuts. Click on over and take a look… www.kandyskeepsakes.etsy.com… Halloween is just three weeks away. It’s time to get all your goodies lined up for all your trick or treaters… young and old.